The Ecumenical Patriarch of Constantinople, who holds a primacy of honor in Eastern Orthodoxy, traveled to Hungary on March 2 and 3. During his visit, he met with the nation’s Catholic bishops. 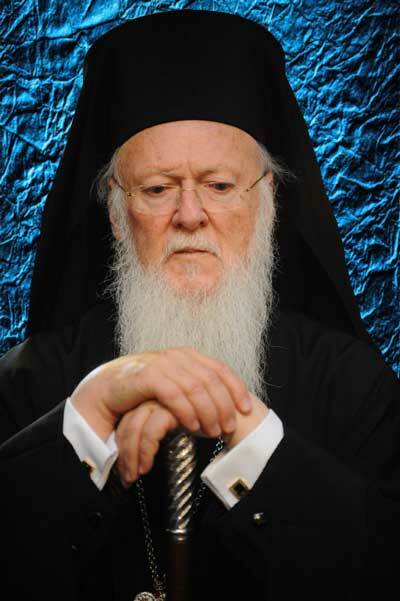 “The crisis which plagues Europe today and threatens its unity is the result of a process of its continuous spiritual decomposition, separation from its Christian tradition and the Church, and dissolution of the fundamental institutions of nation and family,” said Patriarch Bartholomew I. “We are especially moved and delighted for our forthcoming meeting with His Holiness Pope Francis, the Primate of the Roman Catholic Church, who already from the first year of his papal ministry has paved ways and created visions,” he added, referring to his upcoming meeting in Jerusalem with the Pontiff in May. We Christians are obliged to unite our resources in order to protect our flock from the increasingly troubling persecutions and tragic waves of violence against Christians in various parts of our planet, especially in the Middle East, Africa and other place of the world. We would also like to take this opportunity to inform you about the concern and intense anxiety of the Ecumenical Patriarchate for the protection of Christians in the lands, where Christ’s feet first stepped, where the Apostles lived and early martyrs died – a concern that we shall also share with our fellow-Cyrenaean in this humanitarian struggle, Pope Francis, during our highly anticipated forthcoming meeting.